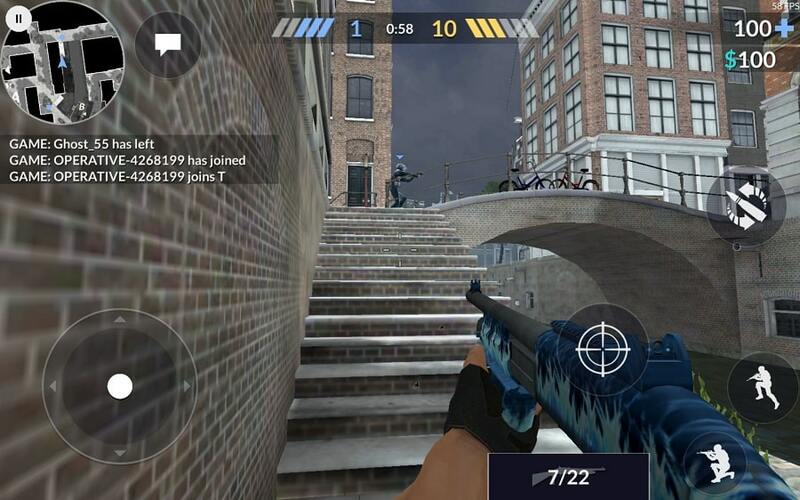 When it comes to mobile free-to-play multiplayer shooters, it seems like every game aims to be the next Counter Strike. Though Critical Ops for PC is still in its alpha phase – as evidenced by the relative lack of content – it clearly has a lot to offer in this regard. Most importantly, the free-to-play mechanics are surprisingly reasonable, and the ads are basically non-existent. Critical Ops for PC is a streamlined, action-packed FPS that wastes no time in throwing you into the action. The menu system is sparse and intuitive, and it seems designed to get you into the meat of the game as quickly as possible. This kind of straightforward design seems like the right fit for mobile platforms, which is undoubtedly what the developers were going for. As for the gameplay itself, it’s quite similar to most other popular multiplayer shooters out there. 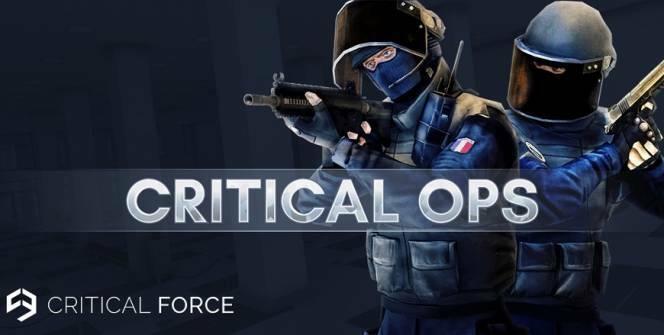 At its core, Critical Ops is a skill-based game that puts a lot of emphasis on quick reflexes and tactical planning. So far there’s not a lot of maps and unlock options, but that can be expected due to the fact that the game is still in alpha. The shooting mechanics are satisfying, and the game’s touch control scheme is generally reliable. The game allows you to tweak the controls to your liking, so finding the right configuration is just a matter of experimentation. As of right now, Critical Ops contains two game modes – Team Deathmatch and Defuse. Team Deathmatch is your standard team-based shootout with quick respawns and a time limit. This mode aims to provide a familiar shooting experience, and it mostly succeeds at it. Even in this phase of its development, Critical Ops feels surprisingly polished when compared to other mobile shooters. In Defuse games, one team will be tasked with planting the bomb while the other team will try to stop them. Players don’t respawn until the end of the round, and they use their in-game money to buy weapons for the current round. This mode is another variation on a familiar multiplayer formula, though that’s far from a bad thing if the execution is this solid. Unlike most mobile shooters currently on the market, Critical Ops for PC comes with a very reasonable free-to-play structure. All the weapons and maps are unlocked from the beginning, and the only things you can actually purchase are the weapon skins. You can also earn these skins by completing daily missions, so there’s no need to spend any money at all. Another nice thing about Critical Ops is that you can play it against anyone – iOS players, Android players and PC players. Any time you log into one of your devices via Facebook, your skins and stats will be transferred to your main account. Cross-platform multiplayer is the future of online shooters, and this game clearly shows why. Though Critical Ops is still very much under development, there’s obviously a good reason why it’s gotten so popular in recent months. If you feel like seeing what the ruckus is all about, download a Critical Ops android APK for free and check it out for yourself. Sometimes when playing Critical Ops, bluestacks ask you fee to pay but gives you option to download some apps. Every time it asks you just select “Install apps” and continue using it free. I hope you enjoyed this article, please rate and share. If you have problems running Critical Ops on your desktop or any other issues, leave a comment below.